The board of directors of South Texas College of Law Houston (STCL Houston) today announced that Michael F. Barry, current assistant dean and practitioner in residence at St. Mary’s University School of Law in San Antonio, has accepted the position of president and dean of the nearly 100-year-old law school in downtown Houston. Barry, who served four years at St. Mary’s Law, officially will join the law school as its 11thpresident and dean prior to the 2019-2020 academic year. Barry earned a law degree from Yale Law School, a master’s degree in theology from the University of San Francisco, and a bachelor’s degree from the University of Virginia. Barry’s administration follows the successful 10-year tenure of former STCL Houston President and Dean Donald J. Guter, who served as the 37thJudge Advocate General of the U.S. Navy prior to joining STCL Houston. In his current role at St. Mary’s Law, Barry is a member of a three-person leadership team for the law school. In this role, he designed Law Success, a broad, three-year program designed to enable each student to be successful in law school, on the bar exam, and in practice. As part of the program, Barry spearheaded an extensive, data-driven platform to track all aspects of a student’s performance, to identify each student’s strengths and weaknesses, and to provide targeted, individualized remediation programs. He created a 700,000-cell database of student performance that identifies predictors of success and failure and educates students on behaviors and activities that can help them maximize their law school experience and increase their likelihood of success on the bar exam. Barry brings 25 years of legal and corporate leadership experience to his new position at Houston’s oldest law school. Prior to joining St. Mary’s Law, he served as senior vice president and deputy general counsel at USAA — a Fortune 200, $20 billion integrated financial services company — supervising 350 people and a $200 million budget. 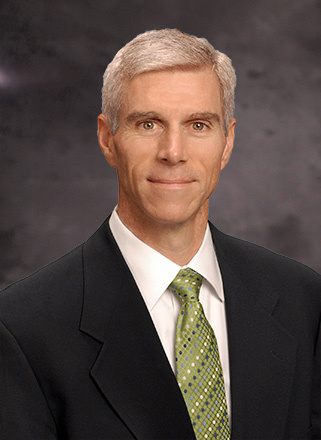 In addition, he was selected by the CEO and CFO to create a 250-person organization to integrate several business-service functions across the breadth of USAA, including Global Service Delivery and Process Engineering, while also leading USAA’s minority equity investment program and USAA’s Alliances businesses. Prior to joining USAA, Barry served as director, assistant general counsel, and associate general counsel at Capital One Services Inc., a Fortune 200 financial services company, where he created and led the company’s litigation group. In this role, he practiced complex litigation involving regulatory investigations and several securities, intellectual property, class action, and arbitration challenges, many of which qualified as “bet the company” matters. While at Capital One, he served as an adjunct professor of law at T.C. Williams School of Law at the University of Richmond in Richmond, Virginia. After clerking for Chief Judge Gerald Bard Tjoflat of the United States Court of Appeals for the Eleventh Circuit and Judge Royce C. Lamberth of the United States District Court for the District of Columbia, he served as a senior litigation associate at Meyer, Hendricks & Bivens, P.A. in Phoenix, Arizona. STCL Houston conducted a national search for its new president and dean with the assistance of executive search firm Witt/Keiffer. STCL Houston Advocacy teams have won 131 national advocacy championships; no other law school in the country has won half as many. Named “Best of the Decade” in moot court competitions by preLaw magazine (2016); Named No. 1 in the nation for moot court by the Blakeley Advocacy Institute at the University of Houston Law Center (2018); and Named No. 1 “Best Law School for Moot Court” by The National Jurist(2018). Over the past year, approximately 270 STCL Houston students contributed more than 35,600 hours of direct client service in these clinics — equating to nearly $1.8 million of pro bono legal representation for Houstonians in need. South Texas College of Law Houston is home to 940 law students from 25 states and nine countries, approximately 100 faculty members, 120 staff members, and more than 15,000 alumni in all 50 states and in 19 countries around the world. For more information about President and Dean Barry, please visit www.stcl.edu/barry.